The Washington Foreign Law Society is pleased to announce that it will honor Homer E. Moyer, Jr. Miller & Chevalier at the Society’s upcoming Dinner Gala on Tuesday, November 15. 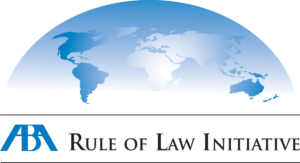 Mr. Moyer will receive the Harry LeRoy Jones Award for his contributions to the development of international law. 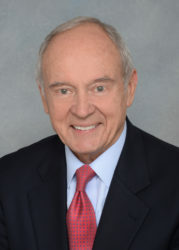 Ambassador Stuart E. Eizenstat is Honorary Chair of this year’s Gala, and Dr. Mark S. Ellis, Executive Director of the International Bar Association, will introduce Mr. Moyer. Homer Moyer was the co-founder and chair for 12 years of the American Bar Association’s Central European and Eurasian Law Initiative (CEELI), which has provided technical legal assistance to emerging democracies of the former Soviet bloc, a project described by former Attorney General Janet Reno as “the worthiest pro bono project that American lawyers have ever undertaken.” He founded the CEELI Institute, headquartered in Prague, Czech Republic, and has served on the board of the American Bar Association’s Rule of Law Initiative since its inception. In addition, Mr. Moyer is the architect of Miller & Chevalier’s preeminent international practice and a premier lawyer in multiple international legal fields. He has served as a political appointee of both political parties at the U.S. Department of Commerce where he rose to the position of General Counsel. Please plan to join us for this very special event at the St. Regis Hotel in Washington, D.C. on Tuesday, November 15, 2016 beginning with a cocktail reception at 6:00 p.m followed by a dinner at 7:00 p.m.
Sponsorships for this special event are available at one of the following donor levels: Platinum ($10,000), Gold ($5,000), or Silver ($2,500). Sponsors and their levels will be recognized at the Gala and in announcements, publicized in the program and the WFLS website, and given a table at the Gala. 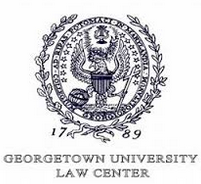 Corporations, law firms, universities, and others interested in becoming a Gala sponsor should direct any questions to the two co-chairs of the Gala, Susan Karamanian (skaramanian@law.gwu.edu) and Jay Smith (jmsmith@cov.com). Checks may be made payable to the Washington Foreign Law Society, P.O. Box 66542, Washington Square, Washington, DC 20035. Parking is available onsite for $25 per vehicle. The hotel is accessible from the McPherson Square or Farragut North Metro Stations, respectively on the blue/orange/silver and red lines.